Mixed seizure patterns which include the above, or other partial or generalized seizures. Absence seizures (petit mal) do not appear to 105 be controlled by carbamazepine (see PRECAUTIONS, General). Monitoring of blood levels has increased the efficacy and safety of anticonvulsants (see PRECAUTIONS, Laboratory Tests). Dosage should be adjusted to the needs of the individual patients. A low initial daily dosage with gradual increase is advised. As soon as adequate control is achieved, the dosage may be reduced very gradually to the minimum effective level. The Carbatrol capsules may be opened and the beads sprinkled over food, such as a teaspoon of applesauce or other similar food products if this method of administration is preferred. Carbatrol capsules or their contents should not be crushed or chewed. Carbatrol can be taken with or without meals. 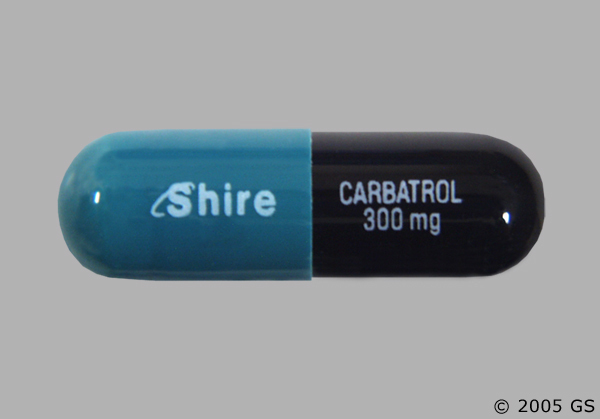 Carbatrol is an extended-release formulation for twice a day administration. When converting patients from immediate release carbamazepine to Carbatrol extended-release capsules, the same total daily mg dose of carbamazepine should be administered. Usage in Pregnancy: Carbamazepine can cause fetal harm when administered to a pregnant woman. Epidemiological data suggest that there may be an association between the use of carbamazepine during pregnancy and congenital malformations, including spina bifida. The prescribing physician will wish to weigh the benefits of therapy against the risks in treating or counseling women of childbearing potential. If this drug is used during pregnancy, or if the patient becomes pregnant while taking this drug, the patient should be apprised of the potential hazard to the fetus. Retrospective case reviews suggest that, compared with monotherapy, there may be a higher prevalence of teratogenic effects associated with 130 the use of anticonvulsants in combination therapy. In humans, transplacental passage of carbamazepine is rapid (30-60 minutes), and the drug is accumulated in the fetal tissues, with higher levels found in liver and kidney than in brain and lung. 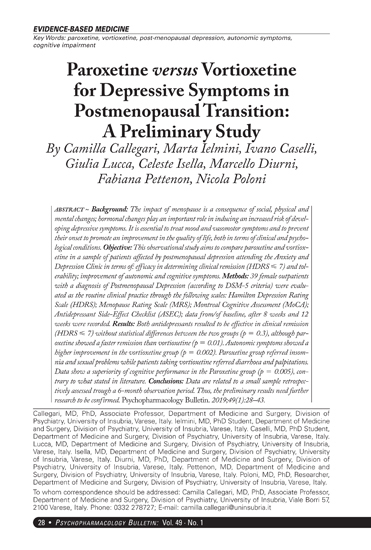 Carbamazepine has been shown to have adverse effects in reproduction studies in rats when given orally in dosages 10-25 times the maximum 136 human daily dosage (MHDD) of 1200 mg on a mg/kg basis or 1.5-4 times the MHDD on a mg/m2 basis. In rat teratology studies, 2 of offspring showed kinked ribs at 250 mg/kg and 4 of 119 offspring at 650 mg/kg showed other anomalies (cleft palate, 1; talipes, 1; anophthalmos, 2). In reproduction studies in rats, nursing offspring demonstrated a lack of weight gain and an unkempt appearance at a maternal dosage level of 200 139 mg/kg. Antiepileptic drugs should not be discontinued abruptly in patients in whom the drug is administered to prevent major seizures because of the strong possibility of precipitating status epilepticus with attendant hypoxia and threat to life. In individual cases where the severity and frequency of the seizure disorder are such that removal of medication does not pose a serious threat to the patient, discontinuation of the drug may be considered prior to and during pregnancy, although it cannot be said with any confidence that even minor seizures do not pose some hazard to the developing embryo or fetus. Tests to detect defects using current accepted procedures should be considered a part of routine prenatal care in childbearing women receiving carbamazepine. General: Patients with a history of adverse hematologic reaction to any drug may be particularly at risk. Severe dermatologic reactions, including toxic epidermal necrolysis (Lyell’s syndrome) and Stevens-Johnson syndrome have been reported with carbamazepine. These reactions have been extremely rare. However, a few fatalities have been reported. In patients with seizure disorder, carbamazepine should not be discontinued abruptly because of the strong possibility of precipitating status epilepticus with attendant hypoxia and threat to life. Carbamazepine has shown mild anticholinergic activity; therefore, patients with increased intraocular pressure should be closely observed during therapy. Because of the relationship of the drug to other tricyclic compounds, the possibility of activation of a latent psychosis and, in elderly patients, of confusion or agitation should be considered. Co-administration of carbamazepine and delavirdine may lead to loss of virologic response and possible resistance to PRESCRIPTOR or to the 166 class of non-nucleoside reverse transcriptase inhibitors. General: Before initiating therapy, a detailed history and physical examination should be made. Carbamazepine should be used with caution in patients with a mixed seizure disorder that includes atypical absence seizures, since in these patients carbamazepine has been associated with increased frequency of generalized convulsions (see INDICATIONS AND USAGE). Therapy should be prescribed only after critical benefit-to-risk appraisal in patients with a history of cardiac, hepatic, or renal damage; adverse hematologic reaction to other drugs; or interrupted courses of therapy with carbamazepine. Information for Patients: Patients should be made aware of the early toxic signs and symptoms of a potential hematologic problem, such as fever, sore throat, rash, ulcers in the mouth, easy bruising, petechial or purpuric hemorrhage, and should be advised to report to the physician immediately if any such signs or symptoms appear. Since dizziness and drowsiness may occur, patients should be cautioned about the hazards of operating machinery or automobiles or engaging in other potentially dangerous tasks. If necessary, the Carbatrol capsules can be opened and the contents sprinkled over food, such as a teaspoon of applesauce or other similar food products. Carbatrol capsules or their contents should not be crushed or chewed. Carbatrol may interact with some drugs. Therefore, patients should be advised to report to their doctors the use of any other prescription or non prescription medication or herbal products. Laboratory Tests Complete pretreatment blood counts, including platelets and possibly reticulocytes and serum iron, should be obtained as a baseline. If a patient in the course of treatment exhibits low or decreased white blood cell or platelet counts, the patient should be monitored closely. Discontinuation of the drug should be considered if any evidence of significant bone marrow depression develops. Baseline and periodic evaluations of liver function, particularly in patients with a history of liver disease, must be performed during treatment with this drug since liver damage may occur. The drug should be discontinued immediately in cases of aggravated liver dysfunction or active liver disease. Baseline and periodic eye examinations, including slit-lamp, funduscopy, and tonometry, are recommended since many phenothiazines and related drugs have been shown to cause eye changes. Baseline and periodic complete urinalysis and BUN determinations are recommended for patients treated with this agent because of observed renal dysfunction. Increases in total cholesterol, LDL and HDL have been observed in some patients taking anticonvulsants. Therefore, periodic evaluation of these parameters is also recommended. Monitoring of blood levels (see CLINICAL PHARMACOLOGY) has increased the efficacy and safety of anticonvulsants. 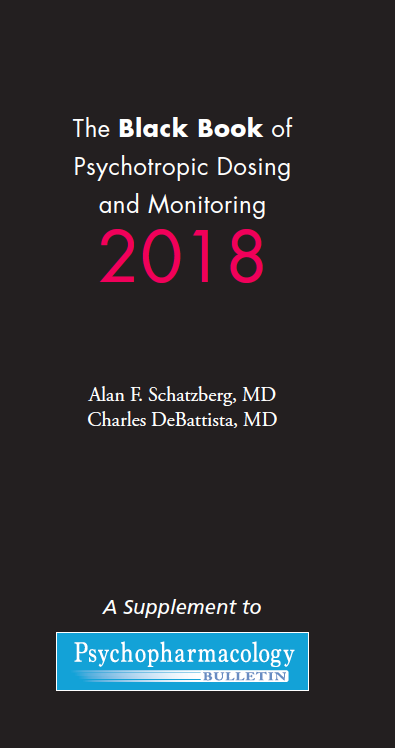 This monitoring may be particularly useful in cases of dramatic increase in seizure frequency and for verification of compliance. In addition, measurement of drug serum levels may aid in determining the cause of toxicity when more than one medication is being used. Thyroid function tests have been reported to show decreased values with carbamazepine administered alone. Hyponatremia has been reported in association with carbamazepine use, either alone or in combination with other drugs. Interference with some pregnancy tests has been reported. 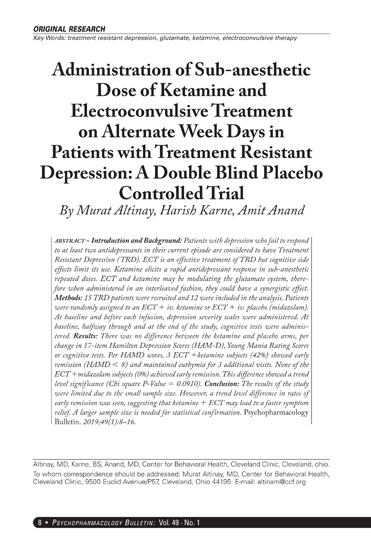 General: If adverse reactions are of such severity that the drug must be discontinued, the physician must be aware that abrupt discontinuation of any anticonvulsant drug in a responsive patient with epilepsy may lead to seizures or even status epilepticus with its life-threatening hazards. The most severe adverse reactions previously observed with carbamazepine were reported in the hemopoietic system (see BOX WARNING), the skin, and the cardiovascular system. The most frequently observed adverse reactions, particularly during the initial phases of therapy, are dizziness, drowsiness, unsteadiness, nausea, and vomiting. To minimize the possibility of such reactions, therapy should be initiated at the lowest dosage recommended. Skin: Pruritic and erythematous rashes, urticaria, toxic epidermal necrolysis (Lyell’s syndrome) (see WARNINGS), Stevens-Johnson syndrome (see WARNINGS), photosensitivity reactions, alterations in skin pigmentation, exfoliative dermatitis, erythema multiforme and nodosum, purpura, aggravation of disseminated lupus erythematosus, alopecia, and diaphoresis. In certain cases, discontinuation of therapy may be necessary. Isolated cases of hirsutism have been reported, but a causal relationship is not clear. Liver: Abnormalities in liver function tests, cholestatic and hepatocellular jaundice, hepatitis. Genitourinary System: Urinary frequency, acute urinary retention, oliguria with elevated blood pressure, azotemia, renal failure, and impotence. Albuminuria, glycosuria, elevated BUN, and microscopic deposits in the urine have also been reported. Testicular atrophy occurred in rats receiving carbamazepine orally from 4-52 weeks at dosage levels of 50-400 mg/kg/day. Additionally, rats receiving carbamazepine in the diet for 2 years at dosage levels of 25, 75, and 250 mg/kg/day had a dose-related incidence of testicular atrophy and aspermatogenesis. In dogs, it produced a brownish discoloration, presumably a metabolite, in the urinary bladder at dosage levels of 50 mg/kg/day and higher. Relevance of these findings to humans is unknown. Nervous System: Dizziness, drowsiness, disturbances of coordination, confusion, headache, fatigue, blurred vision, visual hallucinations, transient diplopia, oculomotor disturbances, nystagmus, speech disturbances, abnormal involuntary movements, peripheral neuritis and paresthesias, depression with agitation, talkativeness, tinnitus, and hyperacusis. There have been reports of associated paralysis and other symptoms of cerebral arterial insufficiency, but the exact relationship of these reactions to the drug has not been established. Isolated cases of neuroleptic malignant syndrome have been reported with concomitant use of psychotropic drugs. Metabolism: Fever and chills, inappropriate antidiuretic hormone (ADH) secretion syndrome has been reported. 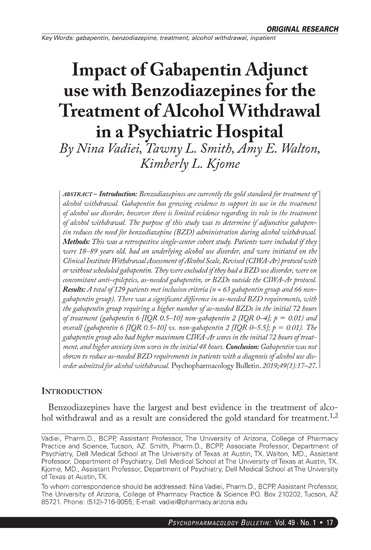 Cases of frank water intoxication, with decreased serum sodium (hyponatremia) and confusion have been reported in association with carbamazepine use (see PRECAUTIONS, Laboratory Tests). Decreased levels of plasma calcium have been reported. Other: Isolated cases of a lupus erythematosus-like syndrome have been reported. There have been occasional reports of elevated levels of cholesterol, HDL cholesterol, and triglycerides in patients taking anticonvulsants. A case of aseptic meningitis, accompanied by myoclonus and peripheral eosinophilia, has been reported in a patient taking carbamazepine in combination with other medications. The patient was successfully dechallenged, and the meningitis reappeared upon rechallenge with carbamazepine.